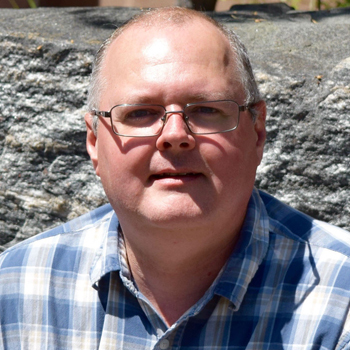 Dr. Doug Tinkham is the current Chair of the Harquail School of Earth Sciences at Laurentian University. Dr. Tinkham graduated with a B.Sc. in Geology from Rocky Mountain College (Montana), a M.Sc. in Geology from the University of Illinois, and a Ph.D. in Geology from the University of Alabama. He came to Canada after the completion of his Ph.D. for postdoctoral positions at the University of Calgary. In 2005, Dr. Tinkham joined Laurentian University where he teaches metamorphic geology and field school and does research in metamorphic geology applied to hydrothermal alteration zones associated with ore deposits, metal mobility during metamorphism, and orogenic processes.